I cannot even tell you how excited I am for this series! I LOVE baseball- it's my favorite and when you add some romance with baseball? 😍 Another thing I find really attractive is the feeling of camaraderie I know this series is going to bring as it follows a group of tight knit friends. I can already feel that from the first book. Sawyer is something else. 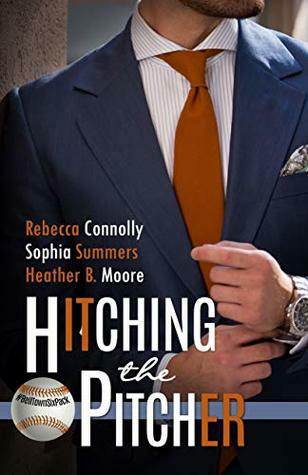 He let Erica go years ago to focus on his blooming baseball career and now she is back in his life. You would think that Sawyer learned something from his mistakes, but no. He honestly drove me slightly crazy because I have a hard time with wishy washy men. I didn't think his "secret" was much of a secret to begin with so I had a harder time buying into his indecision. I think Erica was way beyond patient with him so to me, she was the real hero of this story. I think this first story was probably harder to write because this author had the daunting task of setting the foundation for all the books to come. She roughly introduced all the characters and gave us a bit of a peek into their personalities. She also gave the backstory as to how all these men became friends. It was a lot to pack in with her own story. While I think this story was just okay, I am going to be reading the next books. There is so much potential here. I think it's going to be a fun series and I can't wait to see what (and who!) is coming next! A hometown hero who’s suffering a personal crisis. A single-mom who’s back on her feet again. And the what-ifs they finally have a chance of seeing come true. A year after her divorce, Chelsea Lewis spends most of her days working part-time at her cousin’s bakery and hiding veggies in her picky son’s lunches. Then she reconnects with an old friend who helps Chelsea in all the ways she’s forgotten she needs—including romantic ones. Former football player, DJ Kaiser, is back in his hometown, working as a fireman to serve his community, but after nearly burning down his own house with a barbeque and wrecking the Chief’s truck, his mistakes are stacked against him—until he sets out to ease the stress of Chelsea’s load. Serving her has him feeling like a hero again. When Chelsea’s ex shows up and begs Chelsea to move closer so his young son doesn’t grow up without his father, Chelsea and DJ have to consider what’s best for Chelsea’s little family, even if that means sacrificing the relationship that has saved them both. Megan Wallace wants three things: to make a living as an artist, to fulfill a promise she made her grandmother to visit the Boboli Gardens in Italy, and—oh yeah— for her best friend Brian Watts to fall in love with her. 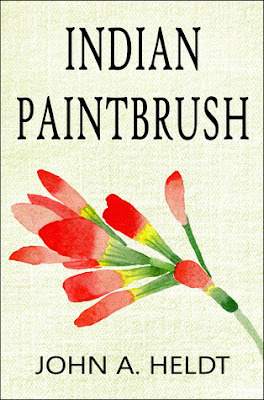 When the local library hosts an art competition, in which the winner will receive a one-year contract to paint in Florence, Italy, Megan sets out to make all her dreams come true. Since Brian is a talented woodworker, Megan plans to ask him to make the custom frames for her paintings. She’s crushed to discover he’s already partnered up with Chelsea Chambers, Megan’s rival since art school. Megan is even more devastated when Chelsea sets her sights on Brian romantically. The stakes are high and there can only be one winner. When the contest judges praise Chelsea’s classic style, Megan wonders if she should forego her own surreal painting style for one that’s more traditional. Brian urges her to be true to her talent. He also gives her reason to believe that maybe he feels more than friendship for her after all. Will Megan have to give up her vision in order to win the contest? And if she wins, will she have to say goodbye to the love of her life? I love reading books by Susan Hatler. She's one of my favorites because her books are so easy to settle in with. Every time I pick up one of her books, I know I'm going get romance, yes, but fun dialogue and characters full of personality as well. This series is set in a magical place to me. I LOVE the whole legend of the bay and how it is incorporated into every book. I also love seeing people from past books making an appearance in this book. It feels like a community of friends and family continuing in each story and I never really have to say goodbye to anyone. I liked Megan. She had dreams but also insecurities about her ability to actually fulfill those dreams. Her vulnerability helped me to connect with her and her unrequited love left me rooting for her. I loved the first kiss and I loved the second kiss almost as much. :) The ending was sweet and I think that's where I fell in love with Brian too. Do you love historical fiction? How about time travel with a bit of romance and a whole lot of family dynamics? That's what you will find with every book in this Carson Chronicles Series by John Heldt. This is the third book in the series and really must be read in order. The series follows a family who have been separated by time travel. The children are trying to find their parents and vice versa. As they jump through time they encounter different trials, experiences and even love. Each chapter alternates between the voices of different people in the family. We follow each sibling, living their own lives but strongly connected to each other and their purpose in finding their parents. I like these characters. I have become invested in what happens to them over the course of this series. I love how the author draws from actual historical events and makes me feel like I am a part it all. The history is actually my favorite part. This particular book has a slow build up of tension as the siblings dig themselves into a bit of a hole and they have to make their escape. It was great to end on a more heart pounding note verses the placid rate of the rest of the book. I enjoyed this one!